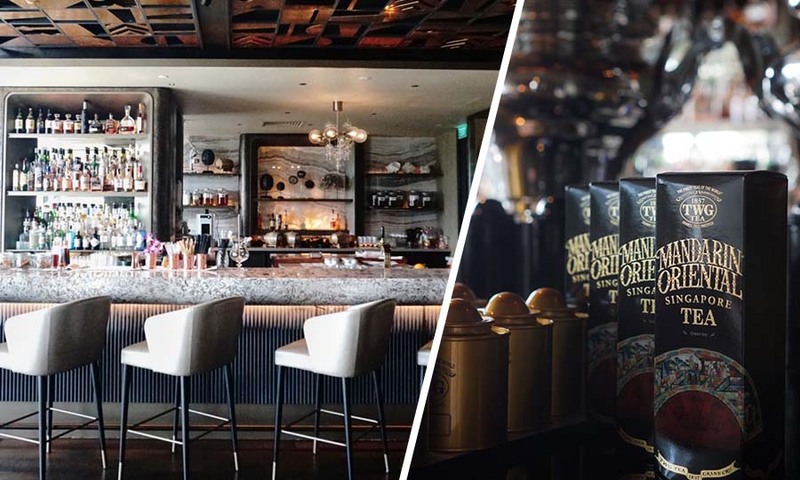 No matter if you’re a tea and teacakes person or a bar and bar bites aficionado, the recently revamped MO Bar Singapore — who took over the prime spot of the former Axis Bar and Lounge at Mandarin Oriental Singapore last November — has just the right menu, and view, for you. Situated on the fourth floor of the luxury hotel establishment, MO Bar boasts a brilliant floor-to-ceiling window view of Marina Bay. Decorated with the Pacific Ocean as inspiration, its bespoke interior is a perfect combination of rustic and elevated sophistication. In short, it is hip, luxe, and very, very modern. In the evening, enjoy the city skyline in all its nighttime splendour with a curated cocktail in hand. 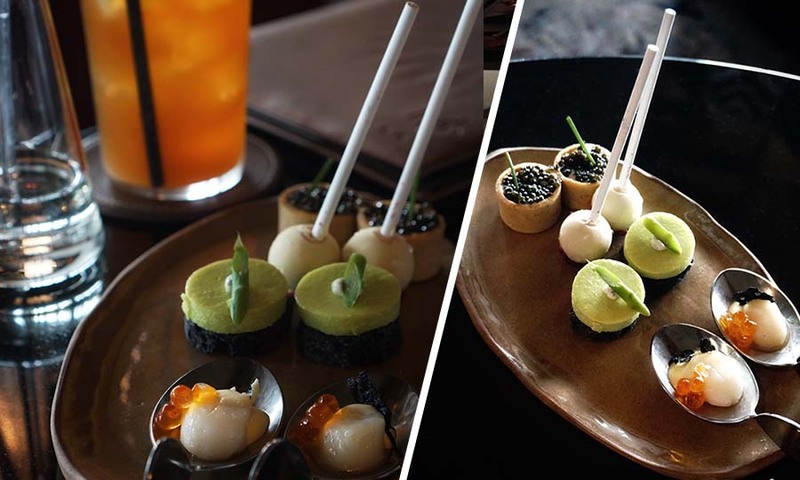 In the afternoon, feast your eyes (and your belly) on their popular five-course afternoon tea set that will set you on a nomadic journey to honour the region’s richest flavours and cultures. 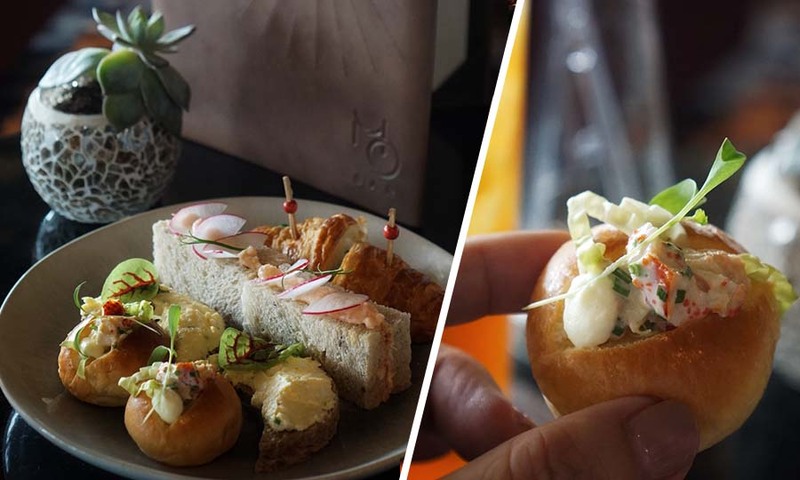 For palates who welcome a twist to their flavours every now and then, you’ll be happy to know that the afternoon tea set offers just the right amount of epicurean intrigue and menu changes are made on a bi-monthly basis. 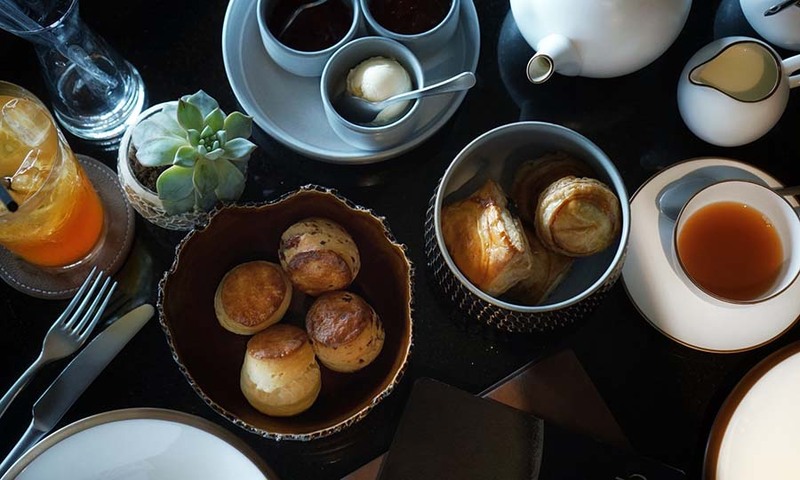 The afternoon tea menu, this time inspired by the Victoria Harbour, teases a mash-up of light and deep flavours within each course. After the Milk Tea Jelly with Hazelnut Cream Emulsion, the Parmesan Sabayon Tart with Oscienta Caviar, an airy and savoury custard complemented with a crusty and buttery tart, is a perfect kickoff to the afternoon’s indulgence. If you prefer something more delicate to start your palate, then perhaps the Asparagus Flan with Truffle Vinaigrette is a better bite for you. There was a certain sweet expectation for the Foie Gras Lollipop with dried cherry with its candy-like presentation, but the end result was an interestingly refined texture and a palatable experience. Lobster rolls are almost always a crowd-pleaser. The Boston Lobster Mini Bun is easy and quick to pop into the mouth, but we only wish there’s more meat for better crunch. The Salmon Rillet Multigrain Sandwich is tangy and absolutely refreshing. We recommend having the Cucumber Cream Cheese Croissant as a delightfully lightweight end to the course. While we would’ve preferred more of a buttery taste for richness, the scones have a satisfyingly crisp crumble on the outside that balances well with a slightly moist inside. Instead of the jams, we say opt for a heavy lashing of the accompanying cream. Last but not least, not forgetting the two-tier sweet treat; the Citrus Meringue Tart, Passionfruit Cremeux Chocolate Mousse, Black Lemon Apricot and Caraibe 66% are the ones to look out for. Designed with gastronomic ambience in mind, each afternoon tea bite engages the senses behind its art and craft. Fantastic for gatherings with your best pals, MO Bar is elegantly spaced out so you get to enjoy your privacy while you indulge. If you need a tea recommendation, try the Mandarin Oriental, Singapore Exclusive Blend by TWG. 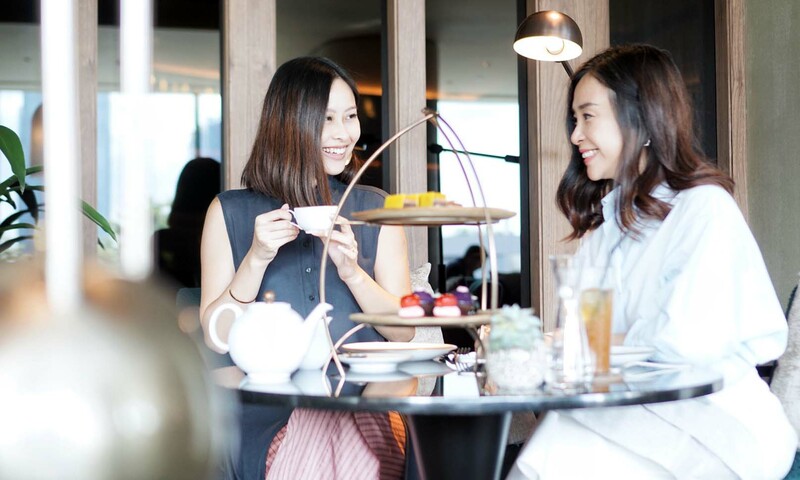 MO Bar is located at Mandarin Oriental, Singapore, 5 Raffles Avenue, and serves afternoon tea sets from Mondays to Fridays from 3PM to 5PM; and on weekends from 12:30PM to 2:30PM and 3PM to 5PM.